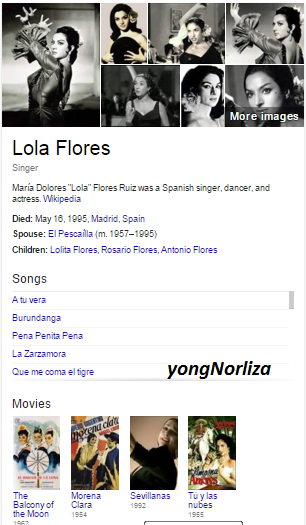 was a Spanish singer, dancer, and actress. 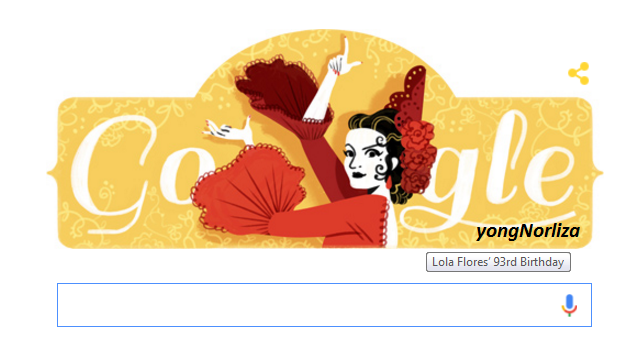 was an icon of Andalusian folklore and Spanish Gypsy culture, recognized throughout Spain as well as internationally. Flores was not a gypsy herself but identified strongly with the Roma people and culture and eventually married into a Gitano family. She did, however, acknowledge that she had been told her maternal grandfather was of Romani extraction. She became a famous dancer and singer of Andalusian folklore at a very young age, performing flamenco, copla, and chotis and appearing in films from 1939 to 1987. She experienced her greatest success performing in folklore shows with Manolo Caracol, who was her artistic partner until 1951.